As much as possible, we try to eat items that are fresh. Things that work best in whatever season it is. That doesn’t mean, though, that we eat only local items. Face it. 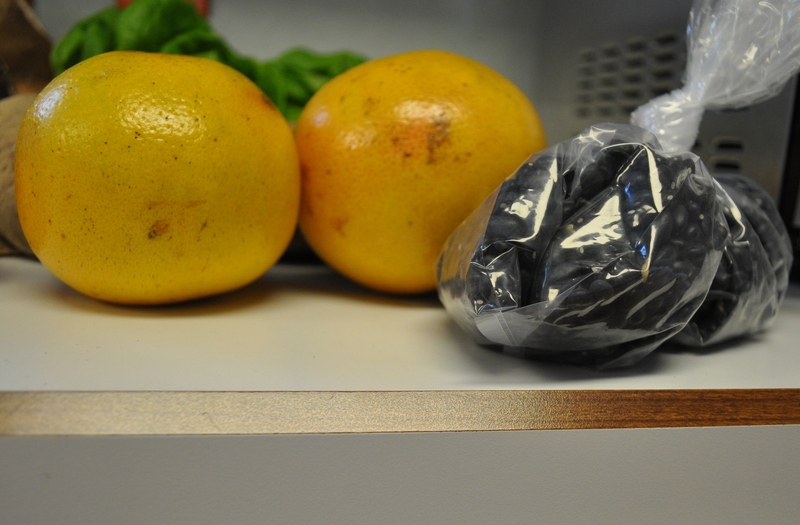 Citrus isn’t in season here ever, except for small specialty fruit. So, bananas, oranges, grapefruit, pomegranates, lemons, limes, all grace our table year round, but mostly in the winter. When I can’t get peaches, strawberries, blueberries, cherries, rhubarb and all those other local fruits that we love when they are at their peak. 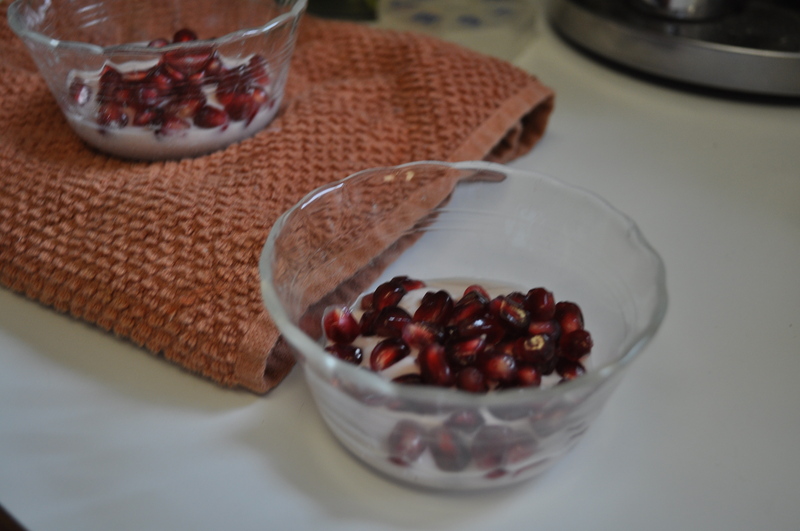 Pomegranates are one of those special fruits. I love putting them in yogurt as part of our lunch plate. We got black cherry yogurt in our Friends and Farms basket last week, and I have been putting a couple of ounces of this rich yogurt on our plates, with either fruit or granola. Tomorrow I pick up our second basket over at Friends and Farms. I look forward to making many more “seasonal” items, using regionally sourced foods. I know a few of them will be Individual Quick Frozen, but face it. Not much is growing around here in single digit temperatures. I have enjoyed dishes using last week’s items, including these. I made a grapefruit and fennel salad, using the grapefruit. I also used the beans in two dishes. One, my venison chili. The second. A black bean and rice dish, that included four of those very tasty beef sausages that Friends and Farms procures from Wayne Nell and Sons meats, in East Berlin PA. Some of that venison chili ended up on top of a baked potato yesterday. If you have a hankering for local meats, available year round, check out my list on my Farm page. I see England Acres has fresh beef. Copper Penny has beef too. As does Clarks. Or call Maple Lawn and get turkey legs to make soup. TLV and Breezy Willow have fresh meat at their Saturday farm stands all winter. Markets? Check out Olney on Sunday at the Sandy Spring Museum. Or Silver Spring on Saturday morning. You can eat seasonally, or use some of those “put up” fruits and vegetables, if you remembered to go picking them at Larriland last year. Posted in Farms, Food, Foraging, Friends and Farms and tagged cooking, farmer's markets, farms, Food, Howard County, local businesses, Locavore. Bookmark the permalink. AnnieRie I’m the choir and I love listening to you preach it!